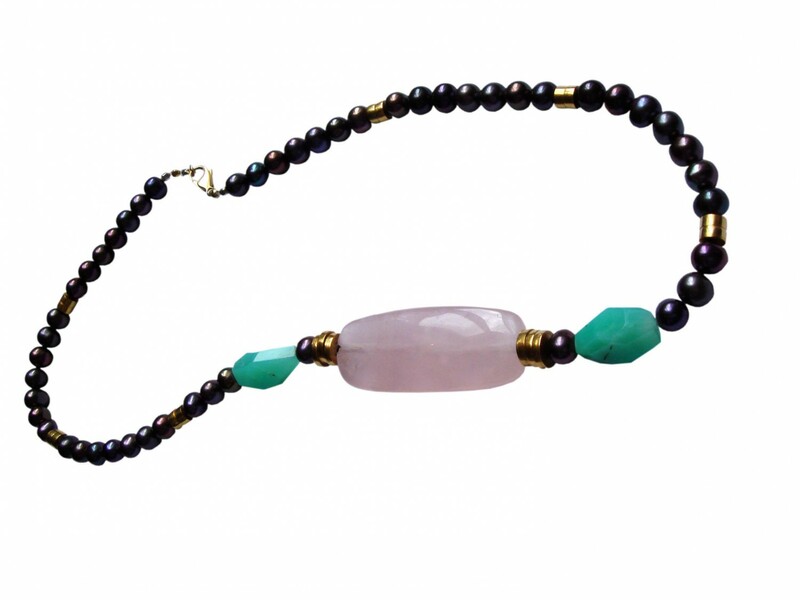 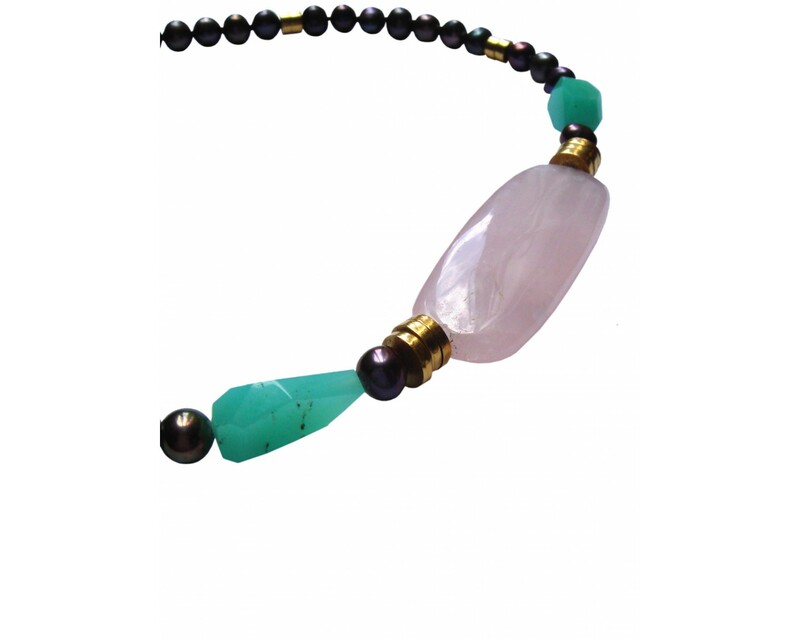 Rose quartz oblong stone, black pearl, chrysoprase with 18ct yellow gold roundel beads. 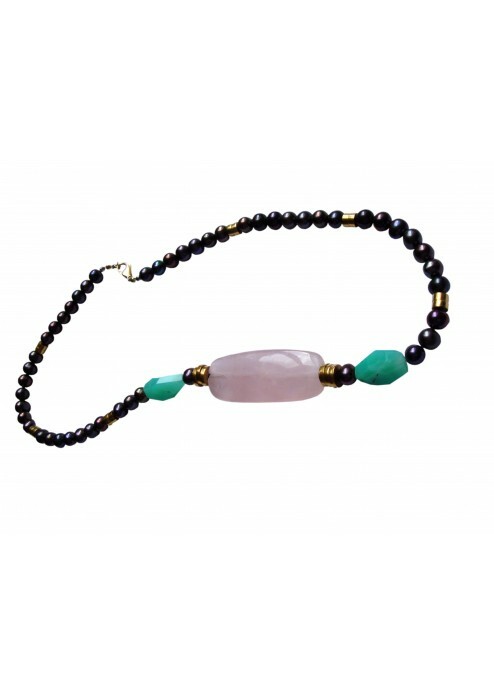 This lovely summery rose pink quartz, black pearl, chrysoprase and 18ct yellow gold roundel bead necklace is a flattering collar bone length. 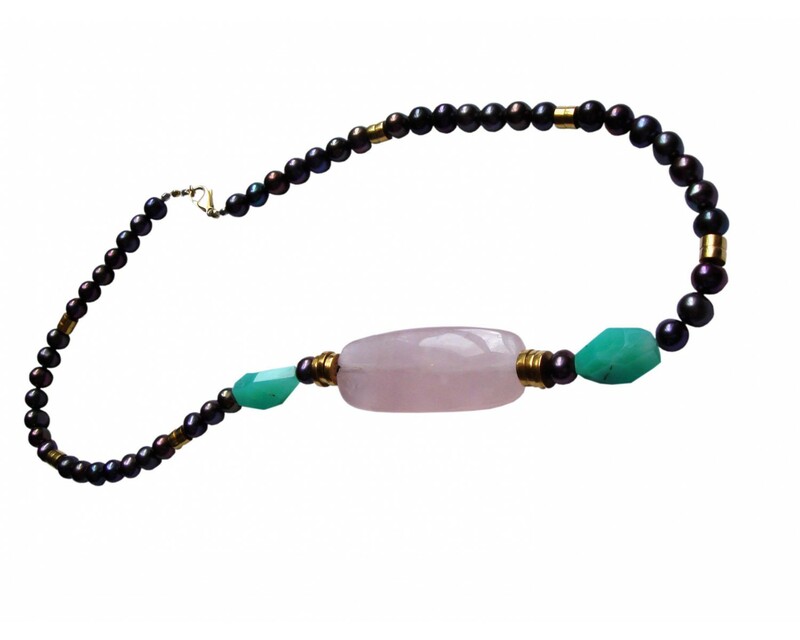 The beautiful black pearls, in bold contrast to the pretty rose quartz, add a wonderful lustre to what is an extremely wearable feminine necklace.